The statistic shows the preferred types of accommodation for a family vacation in 2015. 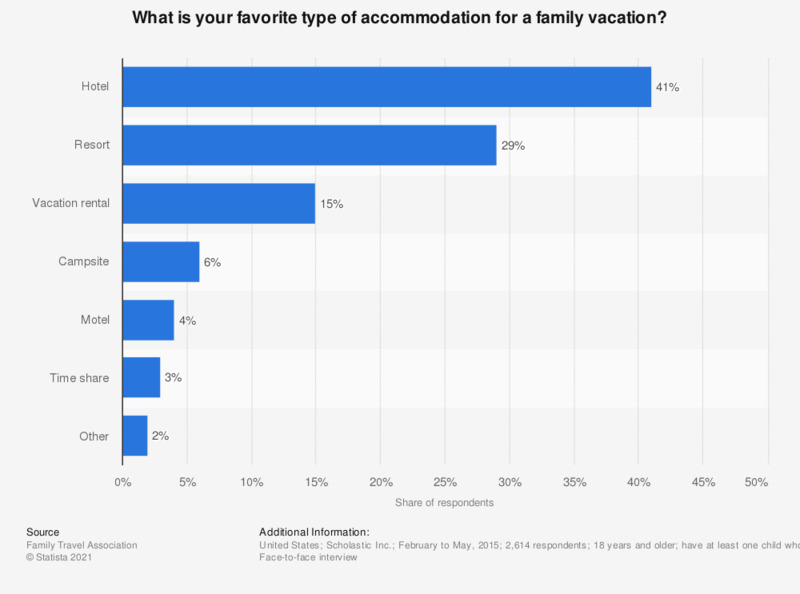 The survey revealed that 41 percent of respondents said when vacationing with the family they prefer to stay in a hotel. have at least one child who is 17 years of age or younger. How likely are you to travel with your children in the next 2 years? What contributed to you not being able to rest during your summer vacation?